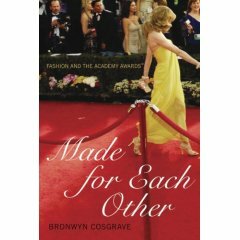 Salt Lake City slickers: Knockoffs take 6 months, but fashion is "4 years behind"
And during the commercials, check out Bronwyn Cosgrave's history of Oscar's fashion winners and losers. Some gowns have caused a knockoff furor. The dress Halle Berry by Lebanese designer Elie Saab screamed in when she won for Monster's Ball launched his career and resulted in thousands of high schoolers strapping on voluminous burgundy skirts with embroidered tops. Worst was the 1999 Gwyneth Paltrow prissiness by Ralph Lauren. The pink sweetheart gown she sobbed into was a huge hit in Wal-Marts everywhere for grad season. Wonder what the odds are in Vegas for the celebrity gown most likely to be knocked off this year?